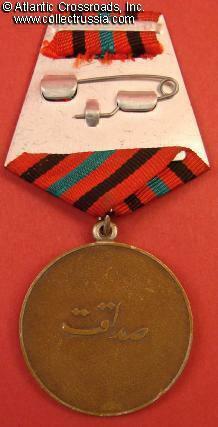 Medal for Faithfulness, 1982-1992. German silver, copper plating, big 40 mm diameter. Nice, typically Soviet artwork in high relief. 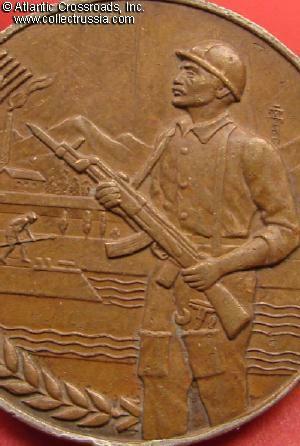 Depicts a worker in coveralls and hard hat, armed with AK-47. He appears to be threatened by a dwarf with a spear (the latter probably meant to represent a farmer with a mattock). On the background is a flowing river, a factory, and mountainous landscape. Very fine to excellent condition, light wear only. Nicely preserved raised details and original finish. The ribbon is replaced with the generic ribbon of red, black and green stripes, as this medal was almost invariably worn by its recipients in Afghanistan. 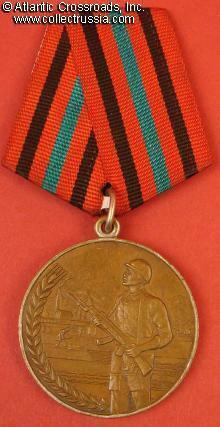 The medal was established in 1982 and issued by the Soviet- backed Najibullah regime until its fall in 1992. 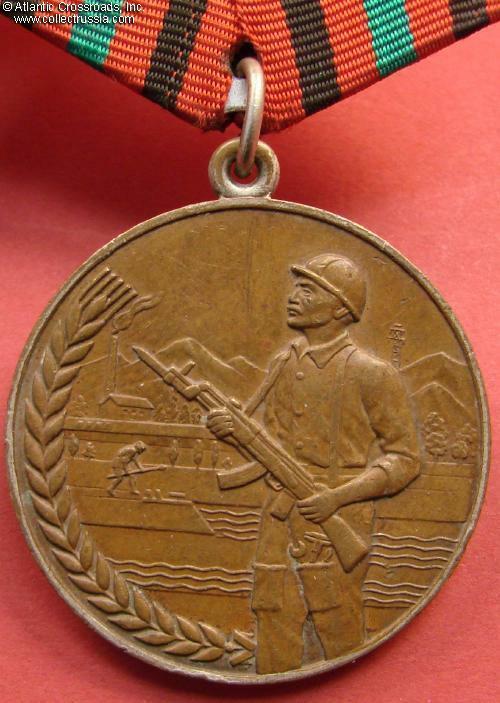 It could be awarded for labor achievements but more often was bestowed upon military men for "defending the accomplishments of the revolution". 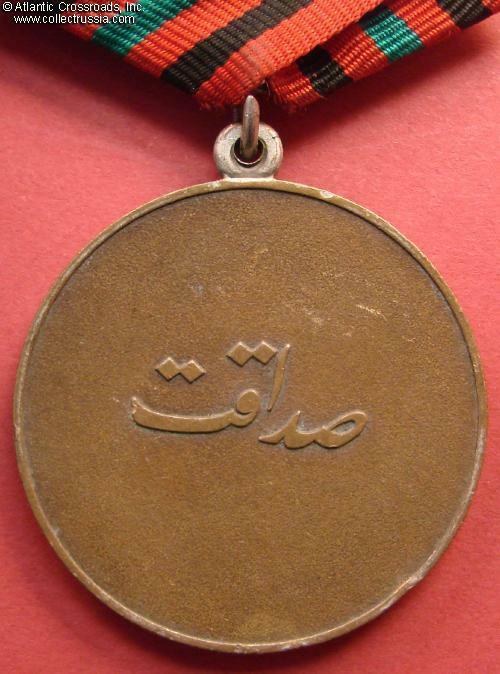 Most of the recipients were Afghan citizens but some of the medals were also given to high ranking Soviet army officers such as General Gromov and others.